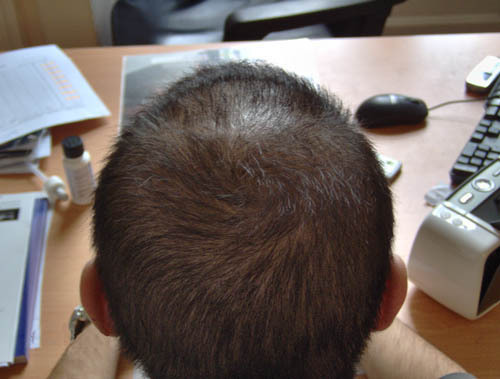 "I have tried many things to prevent hairloss and thicken my hair and this is the only thing that has worked for me." With the Super Grow Laser system you can have thicker, fuller hair and get noticable results. Below are just a few of our satisfied clients. 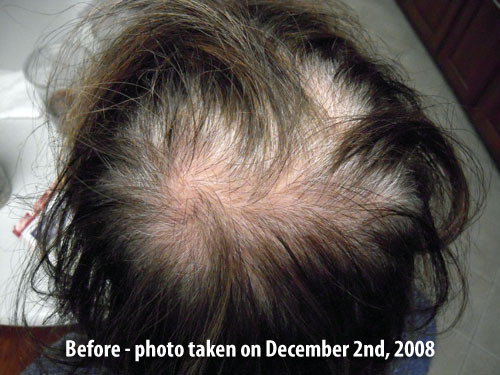 "My experience with lasers is positive, I saw a general thickening of hair volume. I suffer from overall thinning from all areas and the pattern is not alopecia as by now I would have grown bald already as I'm 43 now. I have noticed a good improvement in hair thickness. 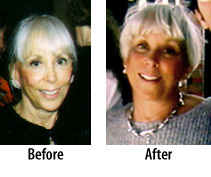 I saw good results with the laser as I removed a wig in January 2009 and the hair no longer looks thinning. 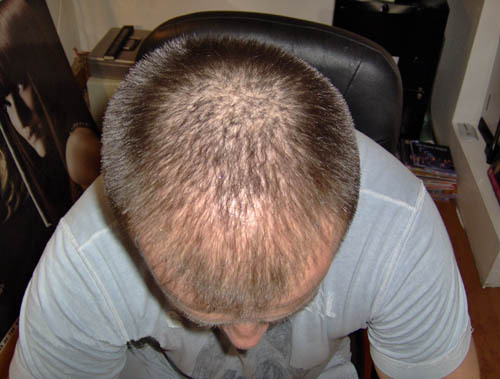 I am including some photos that you can use to help encourage other hair loss sufferers." "First, I couldn't find another product on the internet that you sit under in your home. Combs, which have to be a drag to use, and professional clinics where you sit under a lamp were plentiful, but nothing like your for-home-use laser light. Are there no others like yours? "I started using your lamp in April, 2007. After around six months, I saw a slight improvement, and after a year, I decided it was as good as it was going to get, which was definitely an improvement, but my hair still showed some pink when I focused a mirror on top of my head and looked into a wall mirror. But miraculously, around March of 2009, I realized that my hair had continued to grow and was now thick enough that NO PINK SCALP SHOWED AT ALL! I still marvel at my hair, and so do my friends and family. "I am very faithful about using the light. I have one in Michigan and one in California, where I have a second home. My daughter uses it, too, three times a week and her hair is dramatically better." "The laser is very effective for me. It took about 4-5 months to work, but then I stopped having to go to extremes to keep my scalp from showing when I had my hair styled. My husband took close-up shots of my scalp before and after, and the hairs are definitely more numerous, more closely spaced, as well as thicker. Since my hair is naturally wavy, if I just let it dry without straightening it, it covers up the thin spots itself. I just have to keep the roots colored, since the white roots tend to be visible. "Actually the physician who was treating me for wrinkles had bought a much more expensive version of the laser therapy with an attached recliner chair and a helmet holding the light source(s). He wanted several thousand dollars to put me into this several month course of therapy, and then I would have to go by his office bi-weekly for expensive touch-ups. I looked at your offerings and I realized that it would be much more cost-effective and more convenient for my schedule if I did it myself. What it takes is determination; I think that the most probable causes of failure are either not still having viable hair follicles (needing a hair transplant) or not using the device after it was purchased. "Thanks again for getting it back to me so promptly." This shows results seen after just three months of use. I am 67 years old now and started losing my hair when I was about 18, by the time I was 50 I had very little left, so apart from a few strands of hair there was just the hair at the side. So the laser has had it's work cut out to get my hair growing. I am very pleased with the results so far, I have fine hair growing over most of my head especially the back 2 thirds where there is also some strong hair growth now. The front was where I lost my hair first , so that is taking longer but fine hair is also growing there too now. "I bought your laser about a year ago and I am satisfied with it, I used it on and off only to realize it certainly helps and recently started using it on a regular basis. But I need a handheld laser as well, can you please let me know how much you sell them for, hopefully with a discount to your loyal customer :)"
"I no longer feel badly about my hair so I know that your product has worked for me. "Others can see it too, especially my family members who have all purchased one too. I have used the light 3 times per week religiously except when on vacation for just over a year. I can still feel the stubble feeling now when I run my hand through my hair so I know it's still doing it's job. I decided to use Rogaine with it too just to have extra help but the Rogaine alone never really worked for me. My hair is healthier now as well. "Wow, I just saw an improvement in my hair. I just got your machine 3-4 weeks ago and I already see an improvement, a little more hair on top of my scalp! I know you told me it may happen but I did not fully believe it, I was ready to return it but now I totally believe you! I am totally satisfied!" 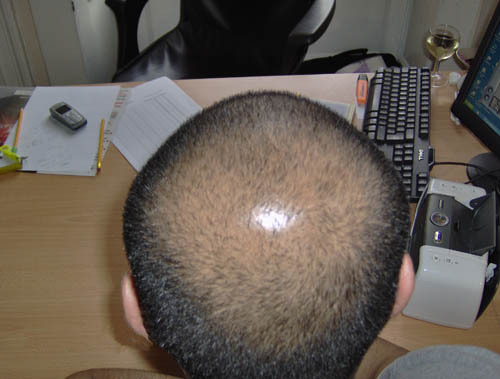 "I noticed that the hair was growing, both on the forehead and the normal male pattern baldness spot on the top of my head. I would say it was at least fifty percent growth within six months." 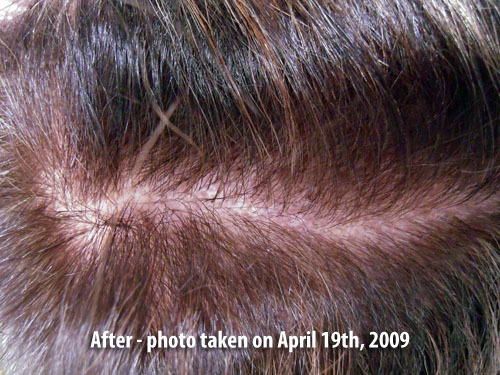 "I've seen a huge difference in terms of it's stopping, and a lot of the regrowth. And especially this time of year right now when, you know, this time of year you tend to shed a little bit more. I haven't had a problem. If I hadn't experienced it myself I probably would never have believed it." "At the beauty school I went to get my hair trimmed. The girl working on my hair smiled and said she saw a lot of new growth!!" "I just wanted to let you know that I have been using your product for about six months now and I am delighted with the results. 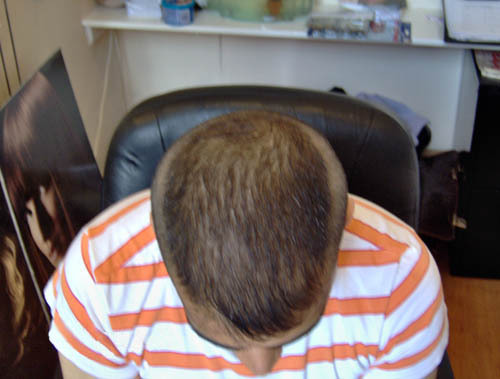 Female hair loss is so hard to deal with and your laser has done wonders for my hair." "This product really helps, my hair looks fuller after few uses." "Been using for one month. Already noticing some hair regrowth. Awesome product." "Hello i just wanted to say that I am very pleased with this product and that it has gone beyond my expectations." "Great product! Much better than I expected! " "I have been using your Super Grow for two months now and the results have been wonderful! Thank you and keep up the great work!" "I am seeing wonderful results with my Super Grow!" "I was going to email you yesterday to tell you after just two treatment sessions with the laser... my hair stopped falling out! "I had been so scared to wash my hair and 2 days had went by and I thought I would see so much hair and I didn't! Then today I did a treatment in morning and another day of just a few strands I normally would see before this hair loss started 1.5 years ago...usually I run my fingers through my hair and pull several pieces but it has stopped! I don't know if it is a coincidence... I know you said there would be more shedding and may not stop for awhile...and I am not taking any drugs or herbs for hair loss...so I started taking before photos and it will be interesting to see what happens! I feel confident that I will get some re-growth!" "This is getting great results with my hair. Its only been a few weeks and I am seeing fine hairs coming in already." "It's been six weeks and my hair is looking great. all the loss has stopped and I am seeing great results! "Thank you - it's a great product!" "I am extremely happy with the product. My hair has thickened up a lot. "With every hair cut it looks better. Here's the best part...during the sixth month I started seeing regrowth. I also incorporated scalp peels during that month. I use the Super Grow 50 every other day for forty five minutes. I might be using it too long but with the results I'm getting I'll stick with the current exposure time. I still have a long way to go but I'm hoping by this time next year I will have regained 7-10 years of hair loss. Call me a fool but I think it can be done."